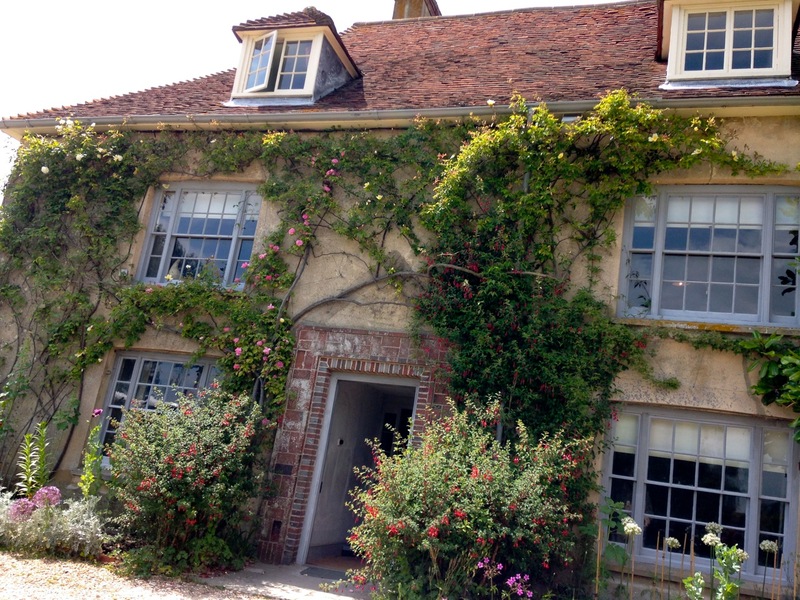 I visited Charleston, the beautiful South Downs countryside home and retreat of the Bloomsbury Group, a few weeks ago on a glorious early summer day. The house and gardens are open for around seven months a year and feature designs and art work by the artists Vanessa Bell and Duncan Grant. The house is a museum piece with the rooms presented to look as it did when it was lived in and entrance on most days is by guided tour only. A visit to Charleston is a must for anyone with an interest in the Bloomsbury Group or early 20th century English art. Refreshments were required after my guided tour and where better to stop than than the on-site café, The Outer Studio Café? The cafe is open from midday and is housed in Charleston’s out-buildings which once functioned as the family laundry, apple store and garage. The Outer Studio Cafè looks rustic and slightly and delightfully ramshackle, with white painted brick walls, polka dot table cloths and little vases of wild flowers. There are tasteful artworks on the walls. You can also take your food out to the courtyard folly garden if you wish. They serve a small selection of light lunches and homemade cakes, as well as teas, coffees, beer and wine, all sourced from local producers including the Rye Bay Coffee Company and Long Man Brewery. 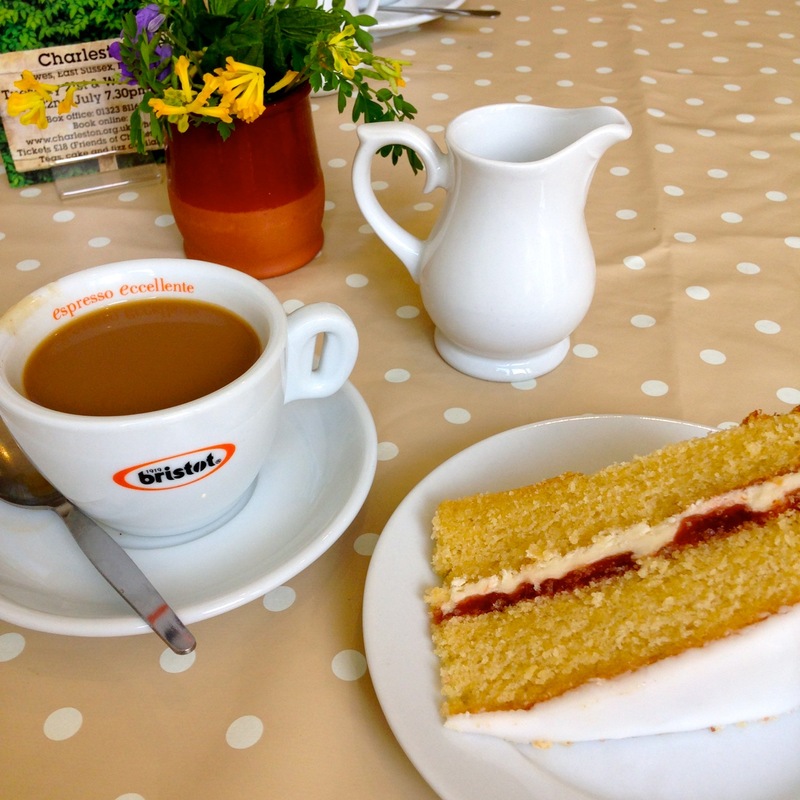 The menu changes regularly and usually features a daily special, made to order sandwiches, quiche and a selection of cakes and sweet treats, including cream tea. I was tempted to order a sandwich – stilton and apple – but as I was having lunch elsewhere, it would have been greedy. 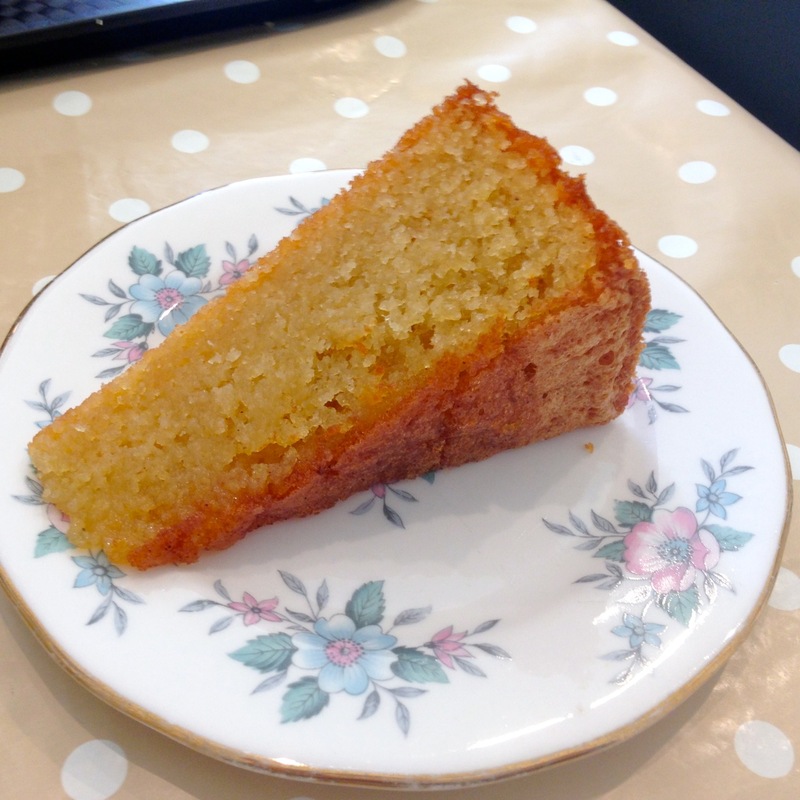 I decided on cake and a coffee – I had a slice of gooseberry and elderflower sponge by the Brighton based bakers Sticky Fingers and a long black coffee. The coffee was decent and the slide of cake was huge – almost a meal in itself. It was topped with elderflower icing with a gooseberry jam and buttercream filling. The sponge was light and moist but the whole thing became a little too sweet for me – if the gooseberry jam was a bit sharper to counter the sweet icing and buttercream, then it would have been perfect! Having said that, it did go well with the coffee and it was the perfect refreshment break, in a charming space. I would be more than happy to order the cake again but to share! I thought it was good value at £3 a slice. 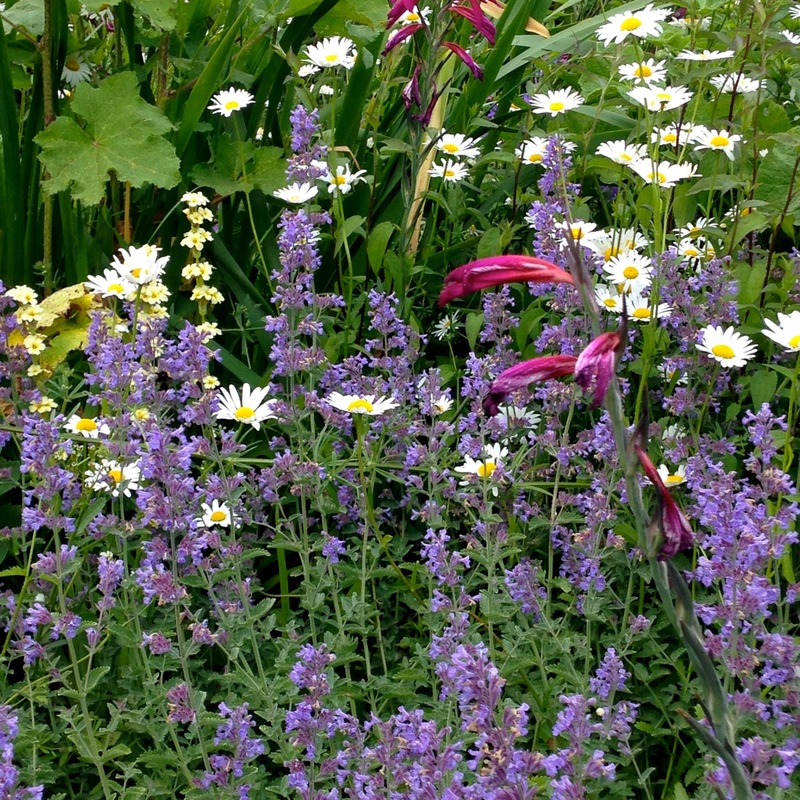 I then went for a wander in the walled garden. This was one of the prettiest gardens I have seen, with sculptures and beautiful flowers. I hope my photos can do it justice! Charleston is not open throughout the year – check the website for opening times. The café and shop are sometimes open when the house and gardens are closed. 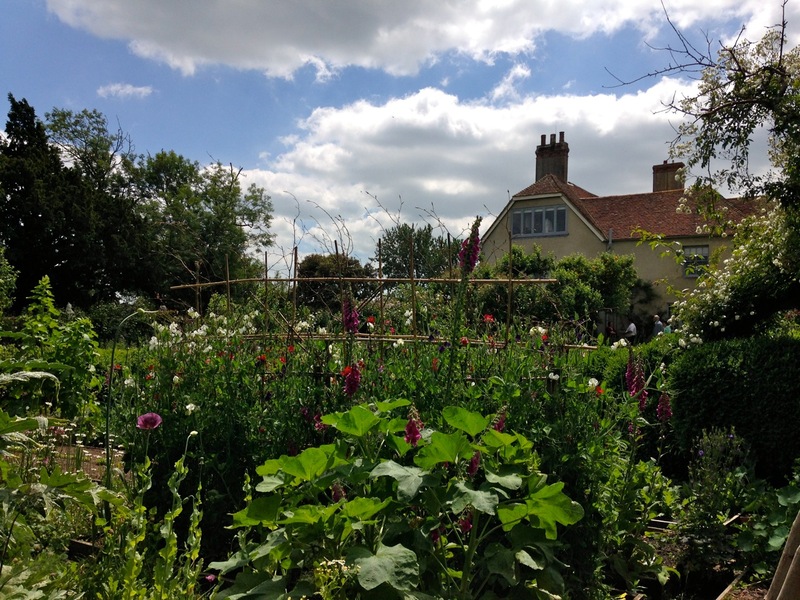 This entry was posted in Lewes (UK) and tagged art, Bloomsbury Group, cafe, cake, Lewes, light lunch, local produce on July 3, 2015 by Millie's Food Symposium.